Evan Suk, Noa Suk, Barbara Stein, Jin Suk, and Lia Suk of Brookline incorporate “Hamilton’’ lines into conversation. Eva Jansen hasn’t seen “Hamilton” yet, but she’s come closer than most. In early April, she dreamt she won tickets to the hit musical. Since its New York debut at The Public Theater in early 2015 — on its way to Broadway — the celebrated hip-hop musical about Alexander Hamilton has worked its way into the national psyche to a degree rivaled perhaps only by Donald J. Trump. The show, reportedly the hottest Broadway ticket in years, is sold out through the end of the year. Prices on the secondary market are reaching into the thousands per ticket. People who haven’t seen the show are often just as obsessed as those who have. Of course I had to go see “Hamilton.” My last name is Burr. I’ve been fighting this fight since I was a kid. Children are having “Hamilton” play dates. Nonprofits — WBUR and Commonwealth Shakespeare Company among them — are dangling “Hamilton” tickets as a fund-raising tool. When Broadway in Boston announced its lineup for the 2016-17 season, it took the rare step of also announcing a show that is coming in 2018 — “Hamilton,” of course — the better to retain and attract subscribers. 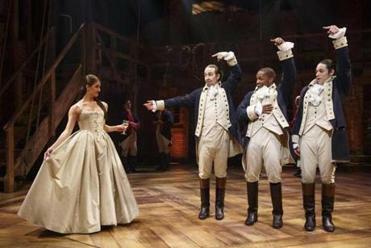 From last July through last week, “Hamilton” grossed about $61.7 million, according to The Hollywood Reporter. One Broadway observer told the New York Post that the show could make more than $100 million in its first year, a feat accomplished only by “The Lion King” in 2014. 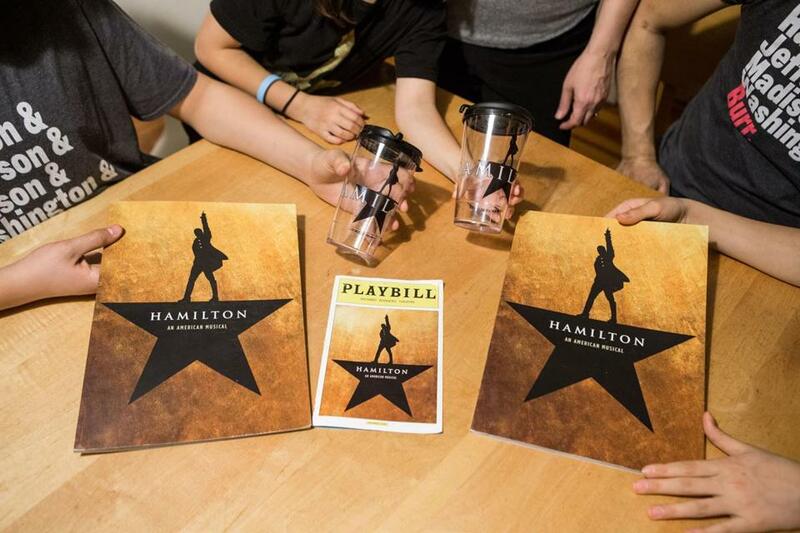 Meanwhile, “Hamilton” groupies are behaving how you’d expect — they’re flocking to NYC Hamilton walking tours, for example — but they’re also engaging in activities you might never imagine. In Somerville, a caterer who makes edible art creations out of gelatin created an “Alexander Gelaton” and then, through a connection, was allowed to deliver it to the cast and crew before a Sunday matinee. “To be there, even in my own small way, was such a rush,” said Matthew Micari, the founder of Gelology. With the show far out of reach for most people, “Hamilton” jealousy is flaring. Consider the scene in a local college class when one student told classmates that she saw the musical over Christmas break. “It was so great,” the young woman said. “I cried.” A second student responded with an epithet that was decidedly unsympathetic. Prices on the secondary market for “Hamilton” are reaching into the thousands per ticket. Tickets are so expensive that even those who bought seats before prices skyrocketed are having their financial choices questioned, as Amy McHugh of Braintree learned. Over the winter, she and a friend each paid $150 for seats to an April show. But by the time their performance came around, prices for some seats had risen to $1,200 each. Besides striking it rich by selling your startup to Google or Facebook, the other way to see a show on Broadway is to win tickets in the show’s online lottery. Twenty-one front-row tickets are sold to winners for $10 apiece. In zeitgeist-centric circles, being known as a person who is playing the “Hamilton” lottery has become a credential of its own — the artsy equivalent of being seen at Fenway Park on Opening Day, or adopting a rescue dog. Twitter is filled with people showing they are part of the national conversation. “Every plan to meet up in New York has a silent ‘unless I win the Hamilton lottery. You are not more important than that.’ attached to it,” tweeted @adammaid, a writer and comedian in Brooklyn. “Kinda glad there’s no #Hamilton lottery on Sunday. It’s nice to take a break from daily rejection. (I mean, what is this? Junior High?) :-D” wrote @danslott, a comic book writer. The “Hamilton” bug is highly contagious. People catch it from roommates and family members, and from photos showing celebrities posing with show creator and star Lin-Manuel Miranda. Kanye West, Beyonce, Julia Roberts, Daniel Radcliffe, Steve Martin, the Obamas. Molly Ringwald took a picture with Miranda’s sister. 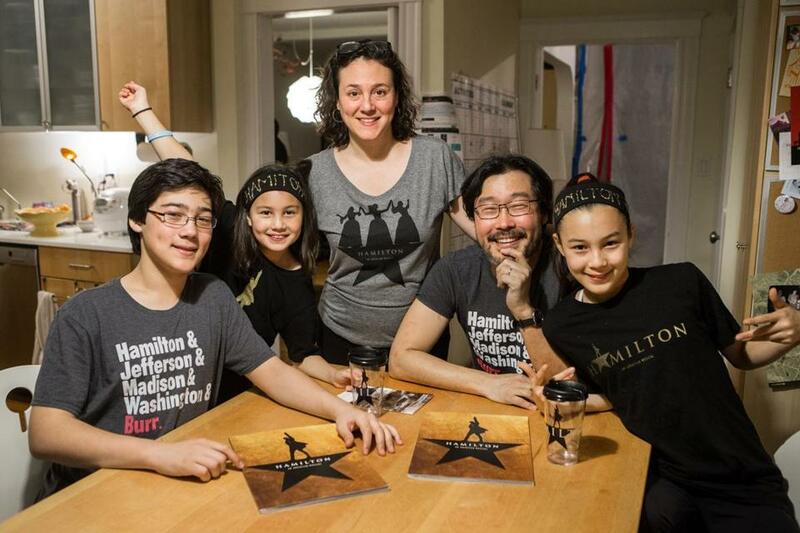 In Brookline, all five members of the Stein/Suk family are caught in the grip of “Hamilton,” regularly incorporating favorite lines into conversation. But the children are particularly worried about their mother, Barb Stein. Nicole Mello, an American history major at Lesley University, doesn’t need a checklist to diagnose herself. “Water dripping sounds like the rhythm of the music,” she wrote in an e-mail to the Globe. “I type on the keyboard and I can hear the opening of ‘Helpless’ in my head.